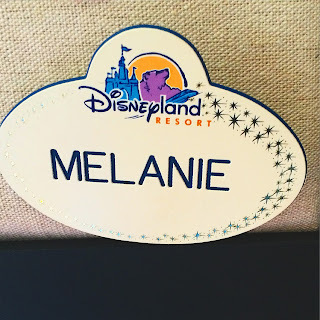 For anyone who didn't already know, one of your Dole Whip A Day friends was a Disneyland Cast Member back in 2004....Best. Summer. Ever. I have a LOT of stories that I'd love to share, and I'm kicking it off with the Cast Member ECV (Electronic Convenience Vehicle) Races around Main Street! I used to work on Main Street in the stores, which also included the stroller/wheelchair rental area since it was still within the Disneyland gates at the time. It wasn't my favorite area to be assigned because I much preferred seeing all the great merchandise and planning what I'd come in early to buy the next day! But it was still pretty fun. It wasn't very stressful, I usually had a great view of the fireworks, and there was a lot of freedom to roam around the park (collecting abandoned stroller at the end of the night). One of the jobs when I was working strollers was to drive the ECVs backstage to the storage and repair area after the park closed. Well, to do that you have to be good at driving them, right? The training was fantastic! A more seasoned CM lined us all up (there were somewhere around 10 of us) and gave each of us the coveted RED KEY to an ECV. The red key allows it to go much faster! 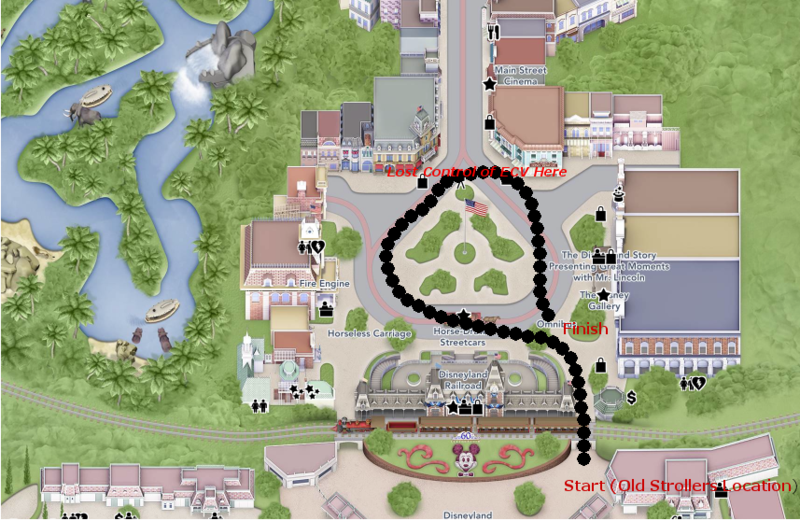 Then he laid out the course - starting at the right tunnel that leads onto Main Street, we had to ride around Town Square and then back up to the tunnel area. We had to listen carefully, since we were also practicing stopping. If you stand up on an ECV, it should automatically stop...should. More on that in a minute. On your marks, get set, go!!! Off we were in the slowest race ever (WITH the fast keys!) We crawled our way through the tunnel and around Town Square. Our leader yelled "Stop!" and everyone stood up. All of the ECVs stopped, except mine of course! I was so shocked that I didn't think to turn the key to turn it off completely. No, I continued rolling down Main Street, at midnight, in front of guests who were still filing out of the park, screaming "I can't stop!!!!!" Take a moment to let the mental image sink in... Got it? Once I got my runaway chair under control, we started up again and I won! Of course I did - my chair didn't work properly. But I do love to win so I'll take it! I also had a pretty big crash one day trying to get an ECV through the weird entry to backstage, but I'll save that for another day! 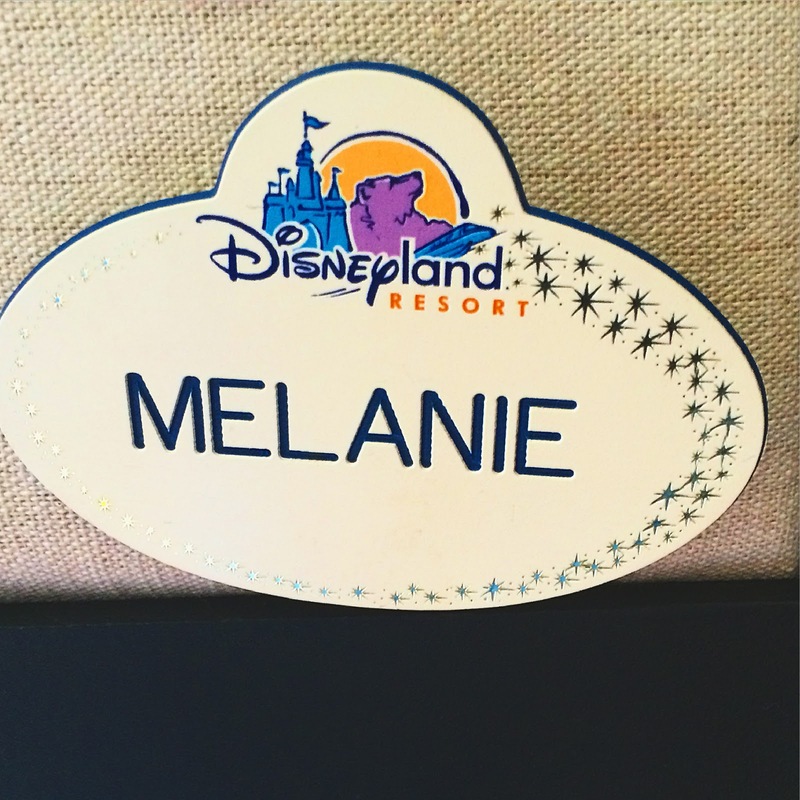 Want to hear more Cast Member stories? Sound off in the comments below!